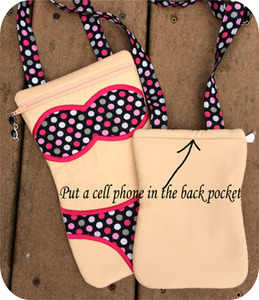 Our Bikini Purse is the perfect summer accessory. 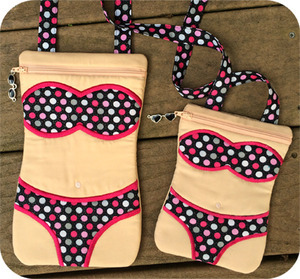 Our Bikini Purse Set includes 2 sizes of purses. They feature a cute bikini applique, perfect for summer. We include instructions for making a strap also. Finished sizes for the purses are approximately 5" x 7" and 6" x 10"
They're fully lined with no exposed seams inside. Instructions are included for adding an optional back pocket.